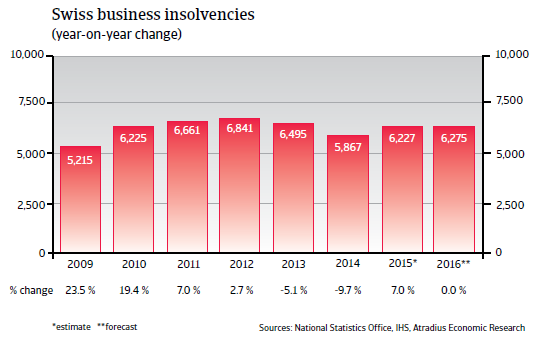 Swiss business insolvencies increased 7% in 2015 due to a more difficult economic environment. With 6,275 cases in 2015 the number of business failures was still about 2,000 cases higher than in 2008. In 2016 business failures are expected to level off. 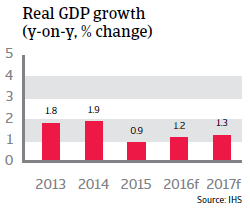 As in 2015, Swiss GDP growth is expected to remain subdued (up 1.2% in 2016), as exports continue to be affected by the appreciation of the Swiss franc (especially against the euro) and weaker global demand. For export-oriented businesses production costs have risen relative to their export prices, squeezing profit levels. 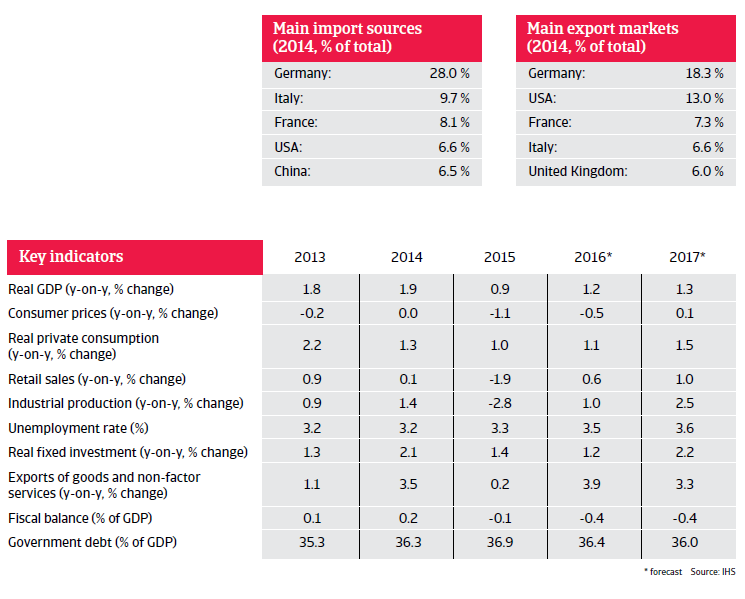 Switzerland relies heavily on exports, which account for 70% of GDP. However, a rebound of exports is expected in the second half of 2016, with a lower franc exchange rate and increased demand from the eurozone. The Central Bank´s benchmark interest rate remains negative at -0.75%, which has contributed to the weakening of the Swiss franc exchange rate at a certain degree. 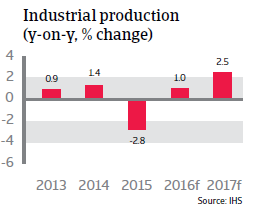 Growth of private consumption, investments and industrial production are expected to remain at a low level of around 1% respectively, while consumer prices remain negative. 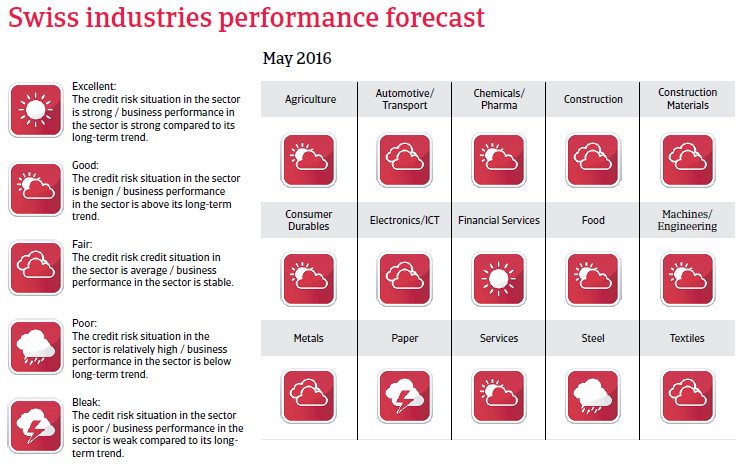 Chemicals/pharmaceuticals has been a well performing sector in Switzerland; demand and profit margins are expected to remain stable in 2015.